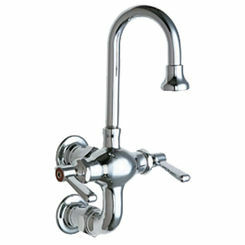 At PlumbersStock, we have a large selection of commercial faucets for all your public restroom needs. 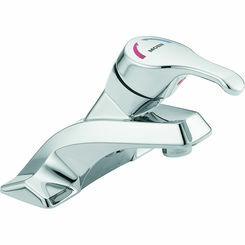 We have faucets with one handle, two handles, and even no-touch sensors. 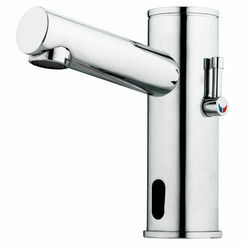 No matter what type of commercial bathroom faucet you are looking for, you will find great options here. 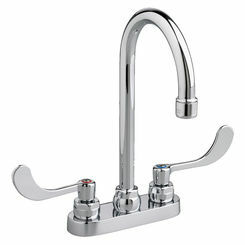 We offer hundreds of commercial lavatory faucet (Delta, Moen, American Standard, TOTO) options, as well as faucet supply lines and commercial faucet parts. 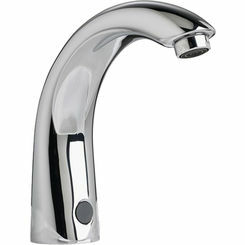 When you have a high traffic bathroom, the wear and tear your sinks and faucets experience is far from normal. 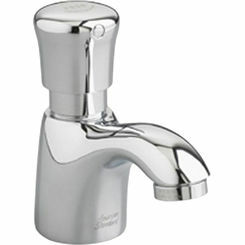 You need commercial grade faucets that last and are efficient. 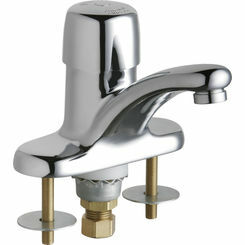 The layout, design, and products in a restroom are what make it run efficiently. Have you ever been in a restroom before that has a huge line? Nothing can be more frustrating when you really need to go. 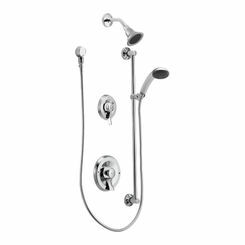 In many cases, a simple design change in a bathroom can cut down on the lines and make an individual's experience much more enjoyable. 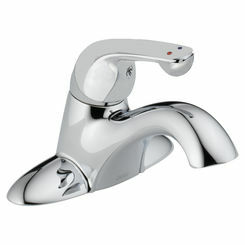 Picking out a simple thing like the right bathroom faucets and automatic flush valves can help optimize efficiency. 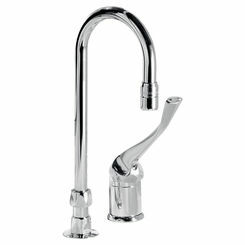 If your goal is to make your restroom run more efficiently while looking nice, what types of faucets should you be looking for? 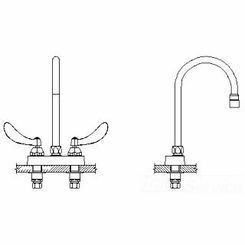 There are many different designs out there to choose from, and depending on your company, the size of your restroom, and how busy your bathrooms are, you will need to determine what types of commercial lavatory faucets you should buy. 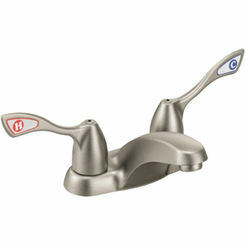 Here are some examples of what you should be looking for. 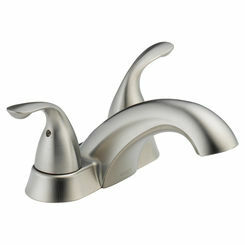 Convenience - If you are looking for a faucet that is convenient and easy to use, you might try an automatic bathroom faucet. 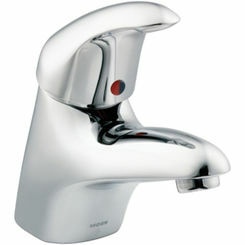 These faucets are nice because they cannot be left on by individuals who carelessly forget to turn off the water. 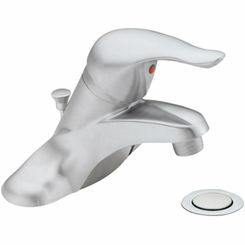 They also stay much cleaner as individuals are not constantly touching them with their dirty hands. 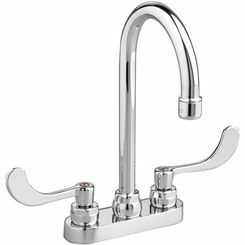 Efficiency - If you are looking to get individuals in and out of your restroom quickly, a faucet that easily allows you to set the proper temperature is important. 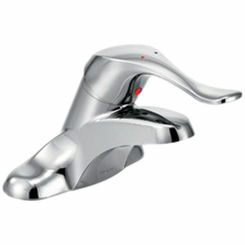 You do not want to choose something that takes a long time to turn on. 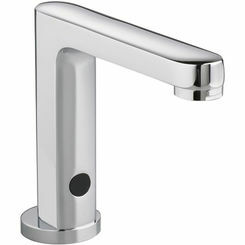 You will find that individuals waste more time washing their hands when they have to play around with the faucet for a while to get it to work. 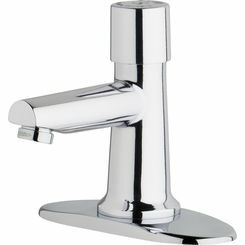 Aesthetics - Another important thing to look for in a commercial bathroom faucet is design. 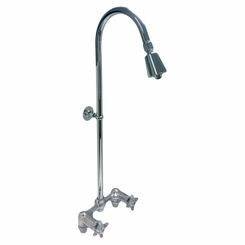 You want to look for something that is sleek and stylish, something that will add to the appeal of your bathroom. 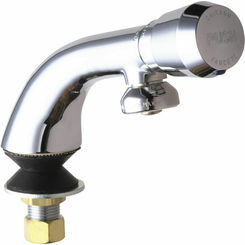 PlumbersStock offers a large selection of public restroom faucet options. We have something to fit every personality and need out there. 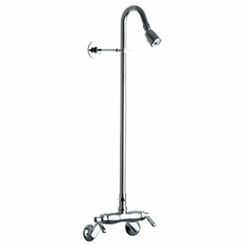 As you scroll through our site, you will discover pages and pages of products for all your bathroom needs. 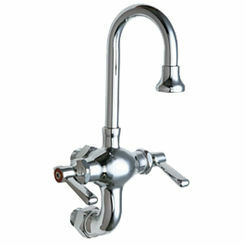 Let us help you find the commercial bathroom faucet of your dreams.